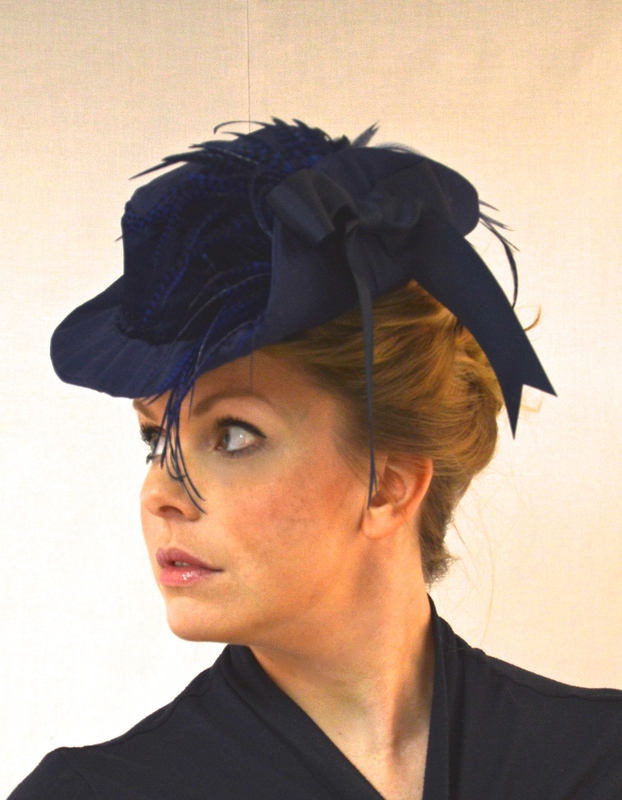 Well I have fully completed my 1880’s outfit with the addition of a hat! 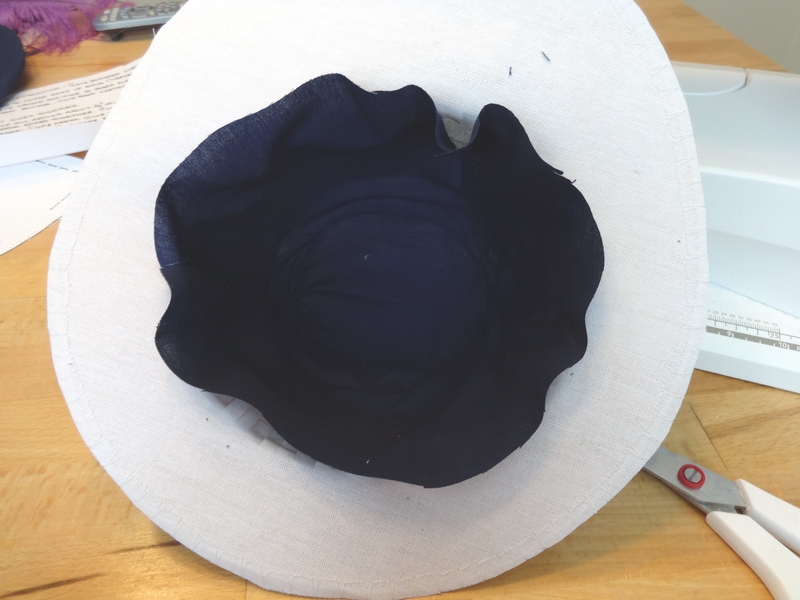 It was my first real go at hat making…and I think, for my first time, it turned out pretty well. Cut out all the pieces. 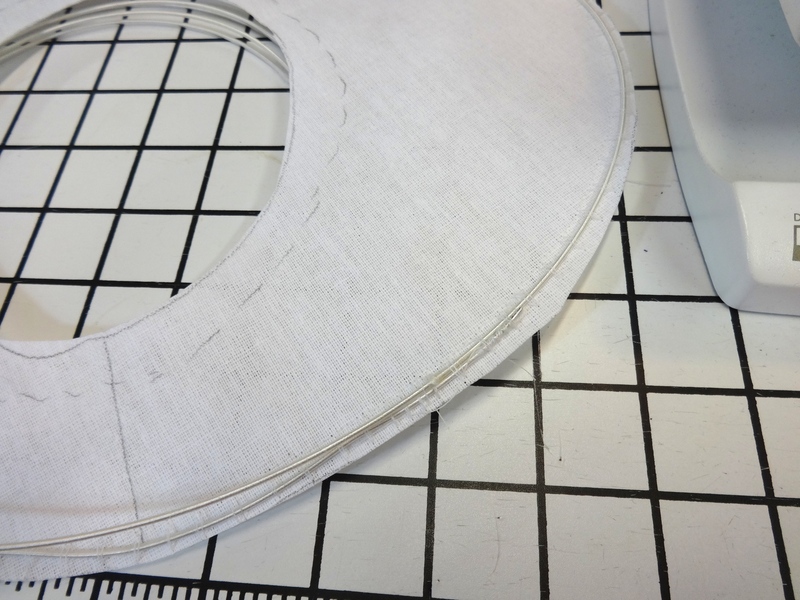 One of the buckram and two of the fashion fabric. 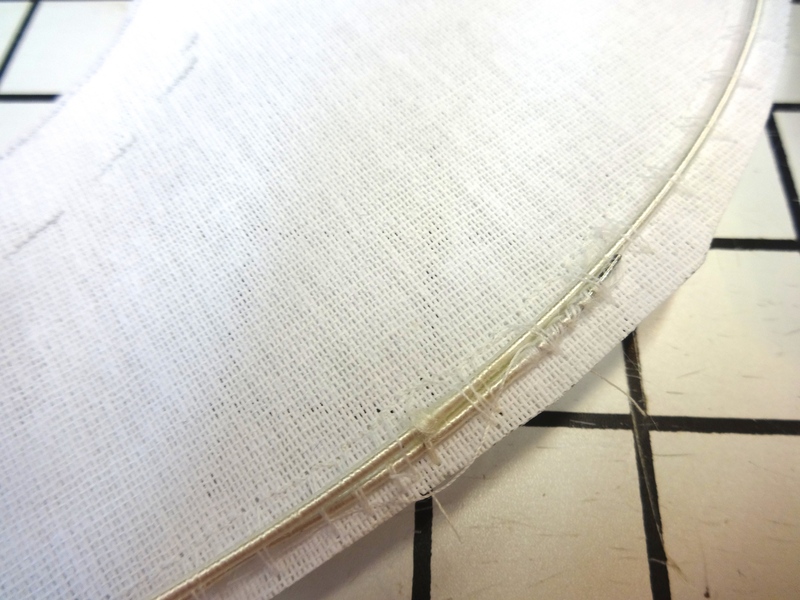 Then zig zag stitch the wire to the edge of the buckram brim. 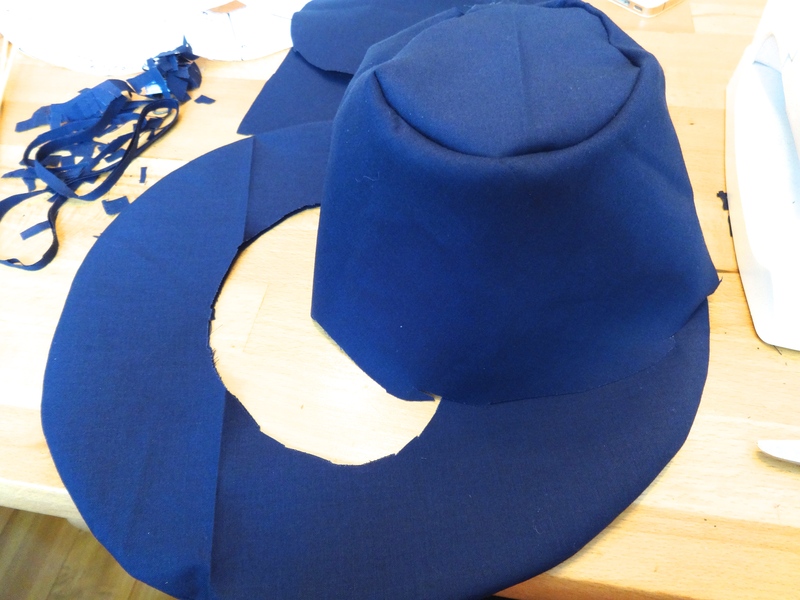 Then on the top of the hat, make small clips all around the outer edge. Then glue the top to the band making sure to have the small clipped edges on the inside. Use a clip to keep it together if necessary. 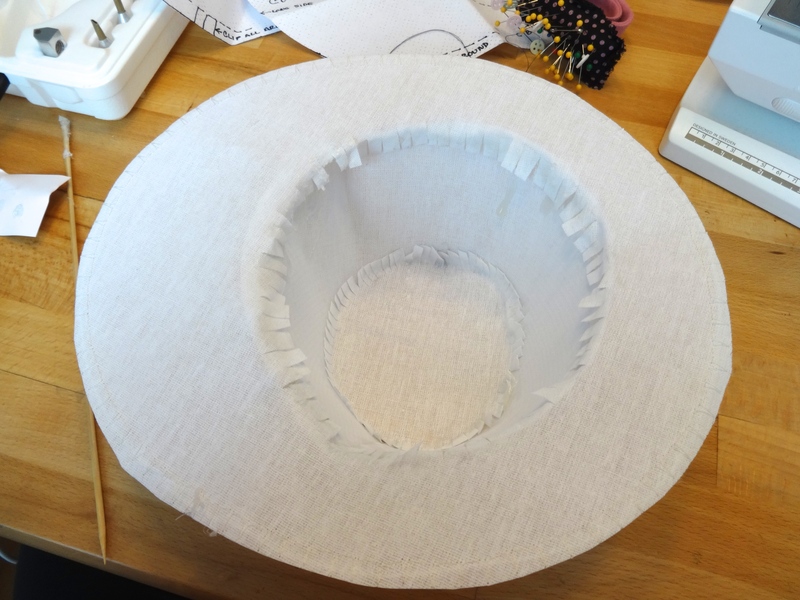 Next glue the buckram brim to the band, again keeping the clipped edges to the inside. 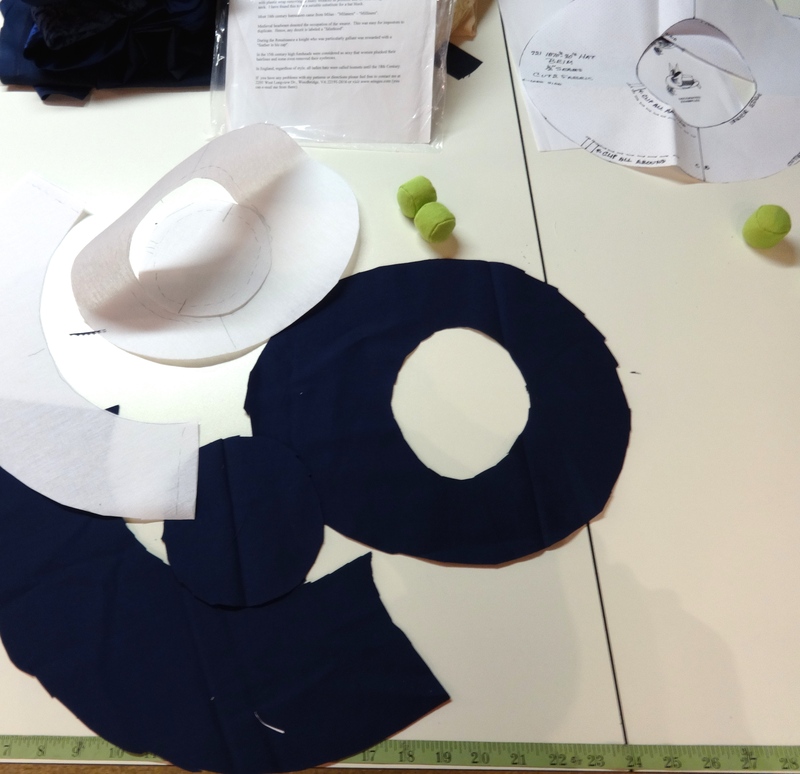 Now go ahead and stitch the fabric pieces together. 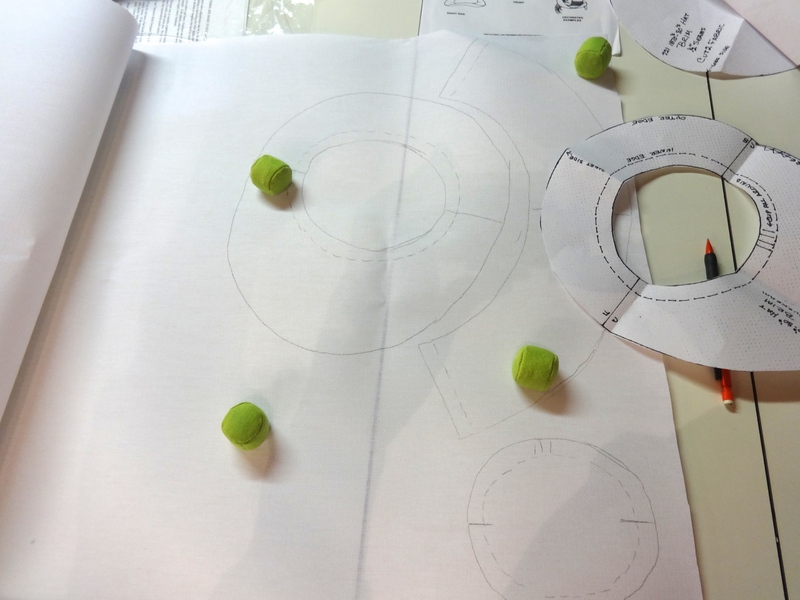 Insert one of the band/top pieces to the inside and glue. 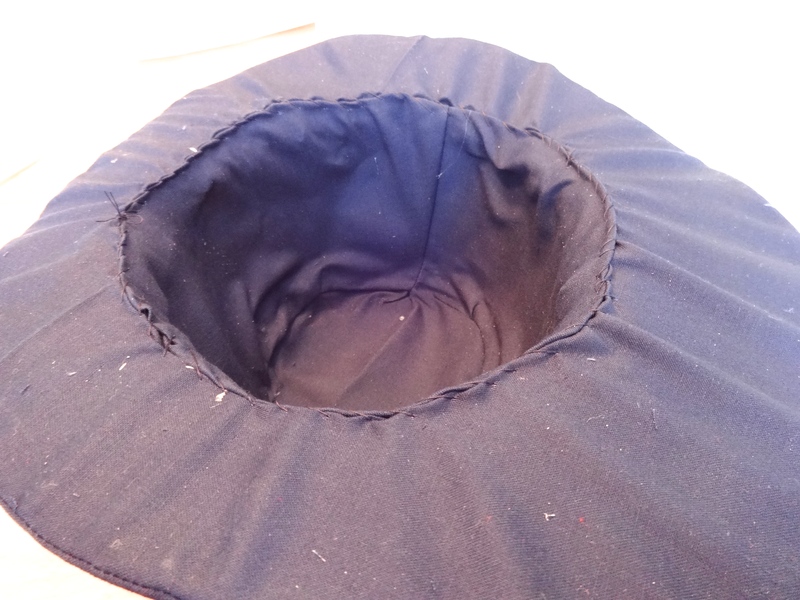 Next insert the buckram brim inside the fashion brim. Whip stitch the underside first. 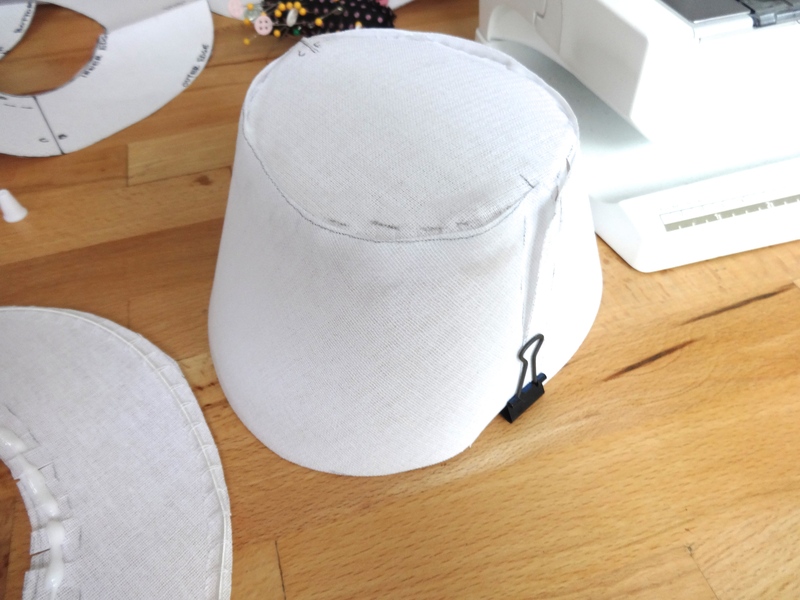 Try to keep it as neat as possible (you can see the negative results of using a glue gun.) 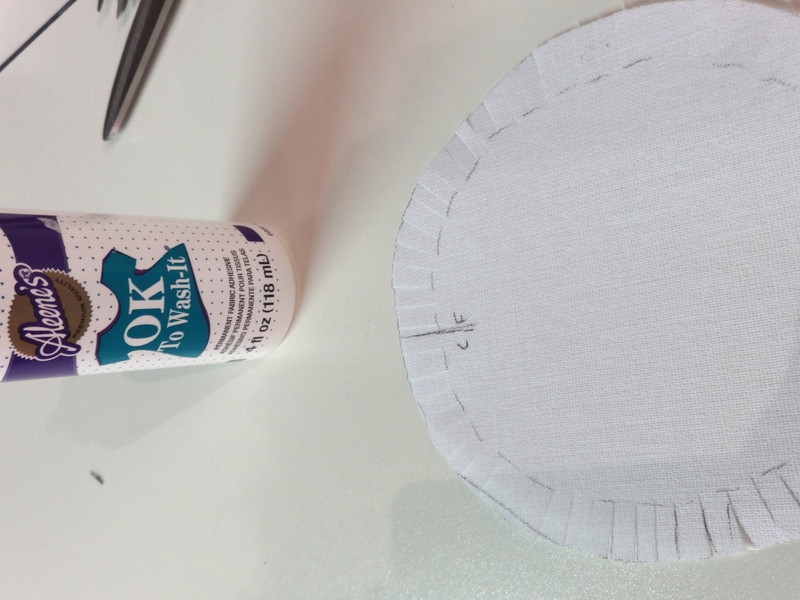 You can clean up the extra glue pieces and lint on the outside once done. Repeat with the top part! 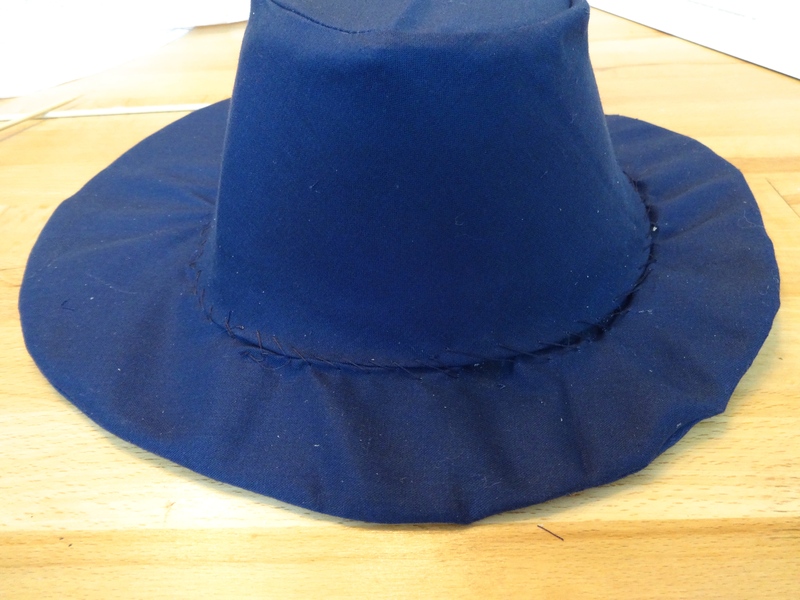 I turned up one side, added in a velvet band and attached feathers and a navy ribbon to the upturned side. To learn how to create this hairstyle, click here.